Traditionally, the majority of SharePoint users interact with the SharePoint sites through web browsers. However, we are increasingly performing more of our work away from our desks using smart phones and tablets. While SharePoint offers a built-in mobile view, which is essentially a lightweight HTML site, users can positively benefit from a more enhanced experience with native mobile apps. In this article, let’s review a number of Kattelo’s favorite apps that makes accessing SharePoint systems a breeze. 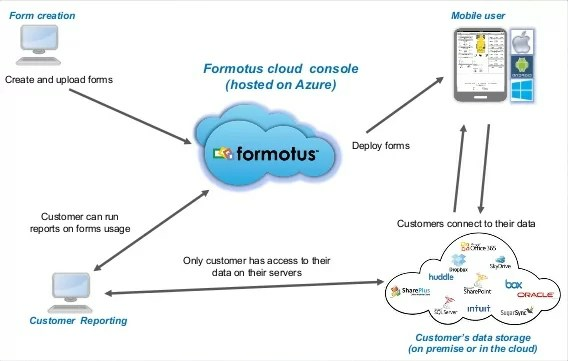 Formotus Forms Central enables users to fill out electronic forms. Using Microsoft InfoPath and custom form controls (e.g. GPS, signature, and camera), businesses can rapidly develop and deploy form-based mobile applications. Not having to learn a new programming language or database backend will save you many hours! You can submit the form data to Office 365, SharePoint, ODBC databases, or even email. More importantly, the capability to fill out forms while offline is especially helpful in worksites where connectivity is limited, such as secured facilities and rural areas. 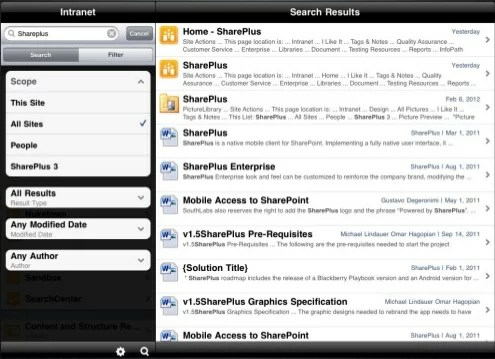 Infragistics SharePlus acts as the mobile front-end of your SharePoint (on-premise or Office 365) systems. This app allows you to perform the actions most commonly done with SharePoint: read, organize, and edit list data extremely easily, with zero programming and deployment! The various filtering and sorting features let users access SharePoint content with minimal navigation. The enterprise version adds the ability to brand the user experience and customize the advanced search features. 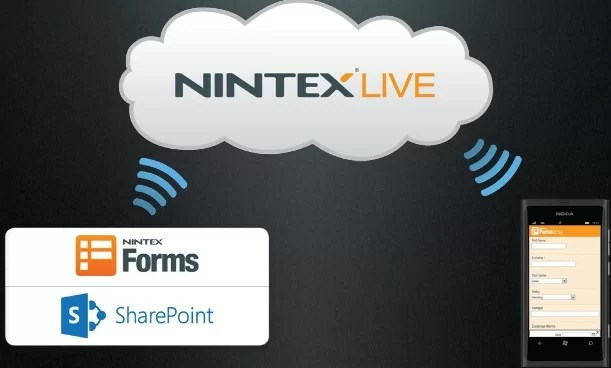 Nintex Forms is a web-based software for designing form-based mobile apps. This is a versatile tool that allows designers to design device-specific forms and store the data in either SharePoint or Nintex Live. For those who are using Nintex Workflow, the integration between the two products are seamless. This makes the Nintex’s infamous “lazy approval” as mobile as ever! Stay tuned for our Part 2 and 3 of this series. You can also view the slide deck on SlideShare. Don’t hesitate to ping us if you have further questions. We’d love to chat with you more about SharePoint Mobility!